by Dave from The Longest Way Home ~ May 4th, 2015. Updated on January 22nd, 2018. Published in: Travel blog » Nepal. Today there is aid and shelter. But what will this woman do in 6 months? Yes, the title is correct. On April 25th 2015 Nepal was struck with a 7.8 earthquake that has so far killed 8,000 people with a final number expected to be over 10,000. To give this some scale, 8.1 million people were directly affected – just under one-third of the population. This tiny country that is home to the world’s tallest mountain and some of the friendliest people on earth has been devastated. Aftershocks are continuing, buildings are still falling, there are still people that have received no aid yet. This disaster is not over and it won’t be for a very long time. What has happened in Nepal since the earthquake? Over 8,000 people were killed by falling buildings, avalanches and landslides. 20,000 were injured. 1,553 have been rescued by land. 4,179 have been rescued by air. The overall number killed could reach up to 15,000. 134 aftershocks have occurred over 4.0 and are expected to continue for up to one year. The international news media has not covered the remoter areas in Nepal where the devastation is a lot worse than in Kathmandu. No helicopter drops of aid were delivered in the first week of the disaster despite the Indian government sending dedicated all weather helicopters. Aid from Taiwan was refused by the Nepalese government due to ties with China. 100,000 plastic shelters have been set up by the Red Cross alone. 664 people had medical treatment in Dhading, 1,220 in Sindhupalchowk, 216 in Dolkha, 4,385 in Nuwakot and 2,200 in the Civil Service Hospital in Kathmandu. 2,258 people received treatment in Bhaktapur, 200 in Ramechhap, 3,659 in Kavrepalanchowk, 133 in Sindhuli and 575 in Bir Hospital. More than 100 people were killed in India and China due to the earthquake. The EU stated that up to 1,000 European citizens are still not accounted for. More heritage sites have been destroyed than anywhere else on Earth. 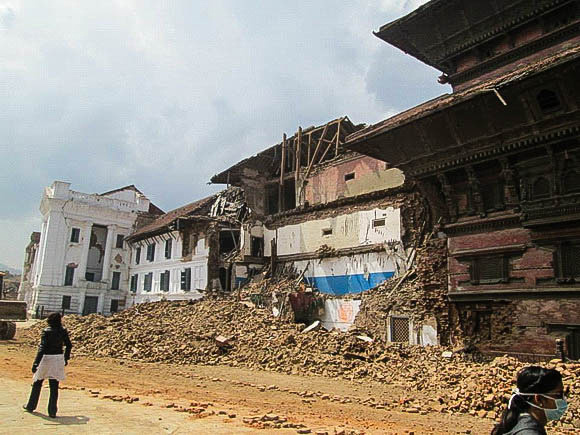 Most of Kathmandu Durbar Square has been destroyed, Bhaktapur has lost many of its fine historic buildings and Patan’s durbar square is severely damaged. Here is a growing list of temples and buildings destroyed in the Nepal Earthquake. It is believed 100 heritage buildings have been either destroyed or damaged. (update: Kathmandu Durbar square’s south side took most of the damage the northern side still stands. Bhaktapur did not suffer as much damage as originally thought – two smaller temples were lost. Patan lost serveral temple but the majority are still standing. Nepal’s government have been heavily criticised by the international community, aid agencies and the local population for their bureaucratic approach to aid relief that has caused huge delays (source). Only $60 million has been pledged to help Nepal – it is estimated by the UN that $450 million is needed for the next 3 months alone. Out of those pledges only $15 million has actually been given to Nepal. It will cost over $5 billion to rebuild Nepal. What will happen within the next year? Given the above I believe Nepal is in for the following year, unless things change. Rebuilding: The village devastation will be far greater than any major city destruction. It’s already been said that the rich in Nepal have been able to afford deeper foundations while the poor cannot. The result has meant a greater destruction of villages than major city buildings. Over 600,000 homes were destroyed. Many of the big cities will have to demolish homes and buildings still standing due to structural damage caused by the earthquake. Bribes will take place and some uninhabitable buildings will not be demolished or repaired and will soon have low-income people living in them. Electricity shortages will continue and load shedding will increase as damaged hydro-plants will will take longer to repair due to lack of funds (source). Meanwhile high taxes on fuel, to power generators, coming in from India will keep the government’s coffers well stocked. 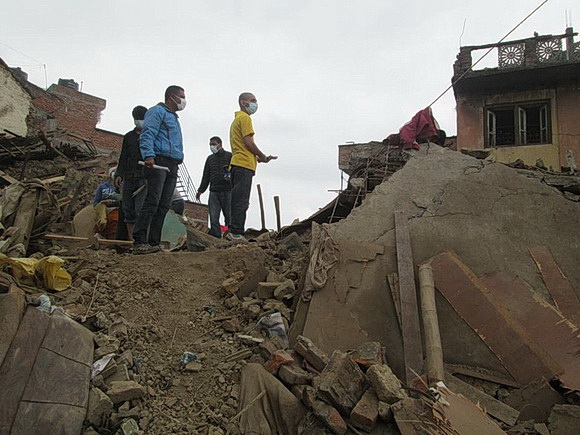 The temples of the Kathmandu Valley will face a long rebuild. Despite the government’s pledge to rebuild them all most of the work will be done by volunteers, private donations and overseas aid. Scaffolding will be a common scene over the next few years. Agriculture: A vast majority of Nepals seeds for this and next years harvest have been damaged. Though current food stocks are strong the next few years will see higher prices for food on the market and some shortages until fresh seeds can be restocked. Government: The Nepalese government has been overwhelmed by the disaster. Despite the warning from scientists and Nepal’s own population over the years they have not been able to cope. This inability to cope is likely to continue as has been proven with the delay in aid getting through due to customs searches and Kathmandu Airport no longer able to accept heavy aid planes from landing due to its deterioration (another Nepalese government scandal). 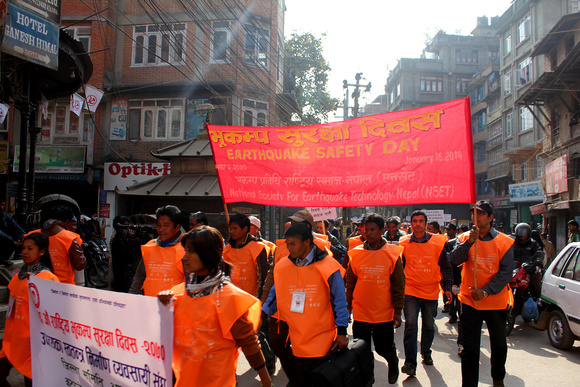 Every year the people of Nepal demonstrate about the impending earthquake. Not just for themselves but to their government who they knew were not doing enough. The demonstrations were not heeded. Long-term earthquake resistant housing for those affected will not occur. The government will fund emergency housing which will not survive the next earthquake. The silver lining in this is that the Nepalese people will finally see the current political situation for what it is. And change will, has to, occur. 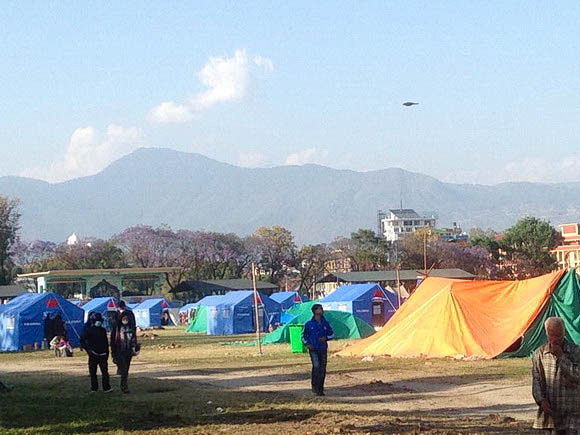 Tent city in Kathmandu … this is home to many everyday people who lost their houses in the 2015 earthquake in Kathmandu. Tourists will return to Nepal in the coming weeks and months but nowhere near the numbers that used to arrive. Officially 8% of the population relies on tourists, unofficially the number is much higher at about 25%. Last year 800,000 people visited Nepal. This year will see a dramatic decline. 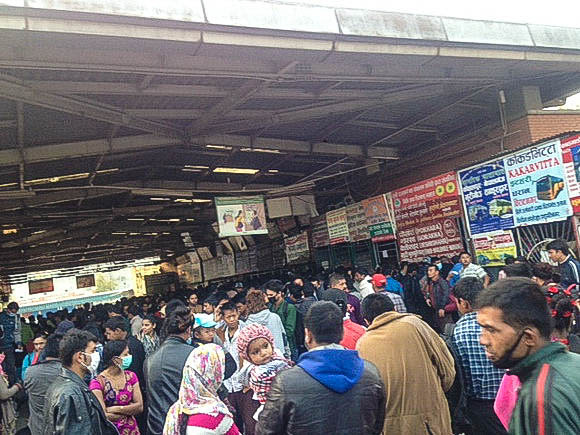 The good news is that much of Thamel, Kathmandu city’s main accommodation and recreation area, survived the earthquake. Likewise the beautiful mountains that attract so many tourists every year still stand. There are more temples still standing than were destroyed. Chyasilin temple and the 55 window palace still stand today. The former was reconstructed after the last great earthquake in 1934 with steel so it would survive the next earthquake – it did – let’s hope todays destroyed temples will be reconstructed in the same way. 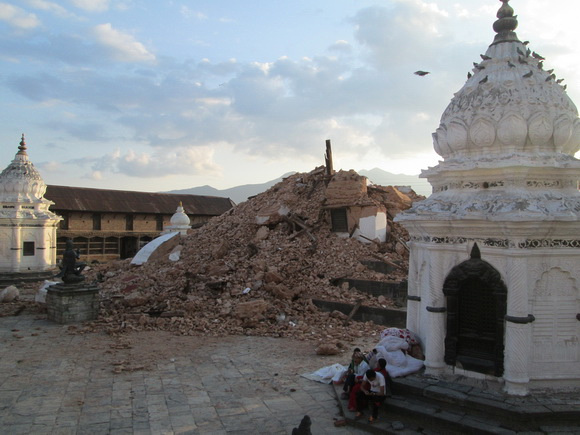 The worst affected temple complex is Kathmandu Durbar square which experienced major damage. 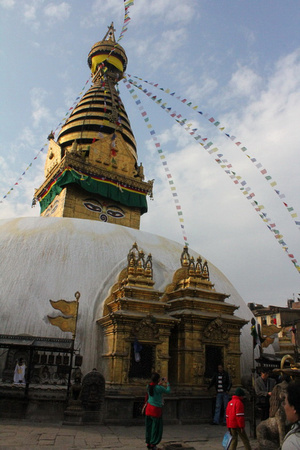 Swayambhunath and Boudhanath are still standing with only minor damage. Patan Durbar square experienced major damage however many temples in durbar square are still standing though cracks are visible. Bhaktapur durbar square is still standing with only a few of the larger temples and stone temples collapsing. Surrounding squares have a similar status. Lumbini suffered very little damage. Chitwan National Park suffered very little damage and is open to visitors. Bardia National Park also suffered no damage and is open to visitors. Manaslu, Langtang suffered terribly and are not open. Annapurna Base Camp and Mardi Himal trekking routes are fully open. Everest Base Camp Trek is open. The Nepalese government has already (controversially) declared that Mount Everest will be re-opened to climbers in a few days (source). (update: the government backtracked after it was discovered there was a lot of unstable snow. The summit will be closed this season). Over the next year the trekking industry will rebound. The cultural tourism industry in the Kathmandu Valley will decline but will be open to tourists by the next peak season (September). How to help Nepal in the coming year? Think long-term and donate money to the right organisations. There’s no better way. Cash contributions are by far the most effective way for people to send their good will and help those affected in Nepal. 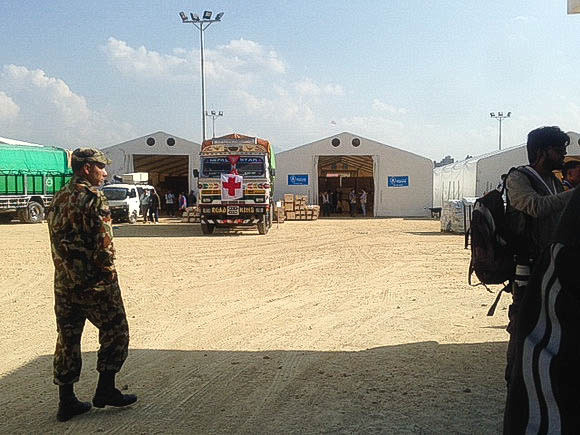 The disaster situation in Nepal will evolve over the coming year. 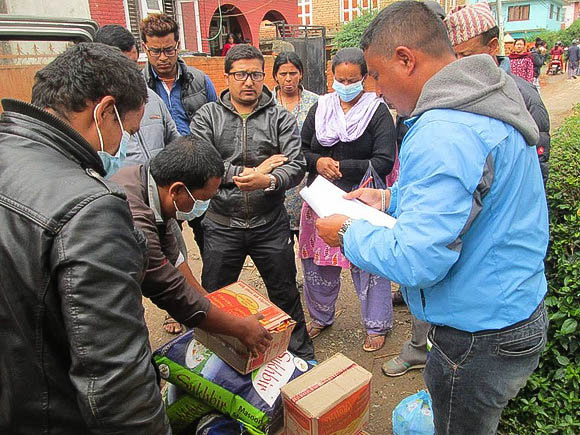 Cash contributions enable agencies to purchase exactly what is needed, when it’s needed, and to respond to new requirements in Nepal as they arise. Unlike material or personnel donations, cash donations entail no transportation costs, no delays, no customs and other fees. Do not send material donations yourself (clothes, food, medicine). It will be largely counterproductive, cause resentment and is not sustainable. Unless there is a direct call for material donations don’t do it. It’s too early to donate. That’s the honest truth. 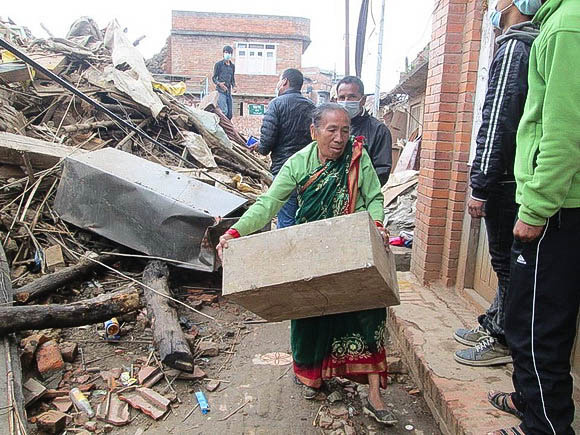 At the moment Nepal’s Army, police force and local volunteers are collecting material from damaged / destroyed buildings to preserve them safely and to prevent them from getting stolen. Nepal’s Department of Archaeology is technically in charge, however given their past history of futile attempts in restoring buildings and preserving them it’s very questionable that they will do much. They have so far announced it will take 7 years to restore all the heritage buildings. Considering no official count has been done yet, not much has changed. The Kathmandu Preservation Trust is an alternative choice. They are an independant organisation who work with donations received at restoring individual temples one at a time. They are still accessing the damage and trying to draw up a list of what work needs to be done. Want you can do now: There is a mindset among some that fallen historic buildings should not be restored. This is often supported and financed by greedy land developers. They are already circling over the Kathmandu Valley making surveys. This must not happen. These heritage sites should be rebuilt much like Chyasilin Mandap in Bhaktapur which was rebuilt after the 1934 quake with metal reinforcements. It still stands today. We cannot allow history to vanish, it can be restored and preserved. Contact the above and let them know that the historic buildings should be rebuilt. Amir Bagale, the CEO of Direct Way Cargo (Exporters), has been instrumental in delivering aid to the people of Kathmandu before the aid agencies even got there. One of the true local heroes of this earthquake. Don’t just show up. While it’s a noble thought to jump on a plane and go to Nepal with the intention of helping people there’s a greater chance you will be counterproductive. Manpower is not a problem in Nepal. Physically helping to rebuild houses is not an issue. Highly skilled professionals are needed and it’s best they go via internationally approved organisations that can lend them all the support needed. 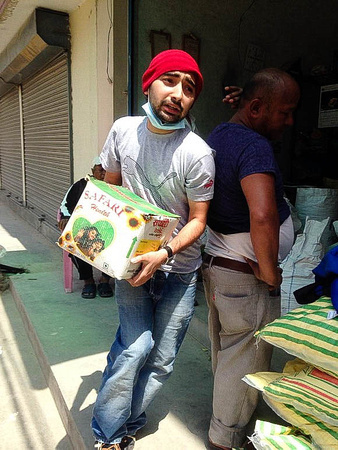 Do read this about volunteering in Nepal. Nepal’s caste system is still very much in place. The wealthy today are the one’s creating new business yet that wealth does not filter down – it gets spread out laterally amongst the wealthy. With the advent of the internet reaching remote areas via mobile telecoms and the sacrifices made by some family members to put one child through school education is also slowly reaching people who previously had access to none. Today it’s this “lower” income generation that can make a difference in Nepal’s future. Innovative ideas about generating electricity, food & safety hygiene, internet business and SME’s are ripe for helping. It’s this new generation of entrepreneurs that hold the key to Nepal’s future, rebuilding and change. Supporting them is one step in the right direction. Never traveled to Nepal? Start making plans. September is Nepal’s largest peak season time of year i.e., the best time to go. It’s envisaged that all of the major trekking routes in Nepal will be open again by then. Likewise the immediate clearing of the cultural and heritage sites will be over with. Yes, there will be cordoned off areas and scaffolding but you will still be able to see a lot. If you are concerned about any planned trekking routes feel free to send me an email and I can put you in touch with someone currently collecting that data. Meanwhile I am collecting data on the temples that have been destroyed or partially demolished in Nepal. Today there is not enough money to rehouse people. Nepal’s earthquake disaster was only 10 days ago yet it has already dropped from the media’s front page. Everyone knows what this means. Yet there are thousands of homeless people in Nepal right now. Villages are still without any aid. Buildings are in ruins. The country has been overwhelmed in every conceivable manner. There simply hasn’t been anywhere near the amount of money donated that is needed and will be needed in the coming year. Given the current situation it is imperative that we keep Nepal in our minds and our pockets over the coming year. Otherwise this time next year some of the more negative aspects of what I’ve written here will indeed come true. We will not only lose a cultural past, but we will also lose the hearts and souls of truly some of the nicest people on earth. A Nepali person will go out of their way to offer a stranger food and shelter for the night. I’ve experienced this more than once. This caring way is something lacking in many of our societies today. Yet it is something we all still admire and believe that we ourselves would do for others. Come back to this page every month and compare it to what’s happening throughout this year in Nepal. It will be a stark reminder that help will still be needed. This time next year the international media will post “Nepal, one year later.” Let’s make the headline a good one. 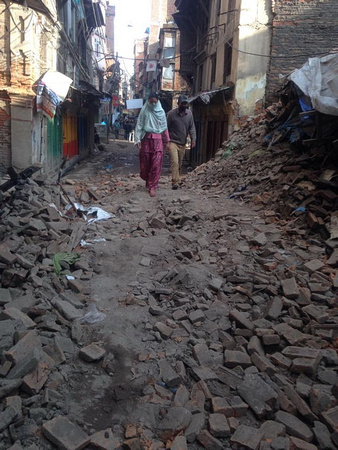 For now and over the coming months the message is clear: we all need to help rebuild Nepal. Please help by donating to one of the above agencies, today. Or, plan a visit to Nepal this year. It’s open for business right now, but still needs help.